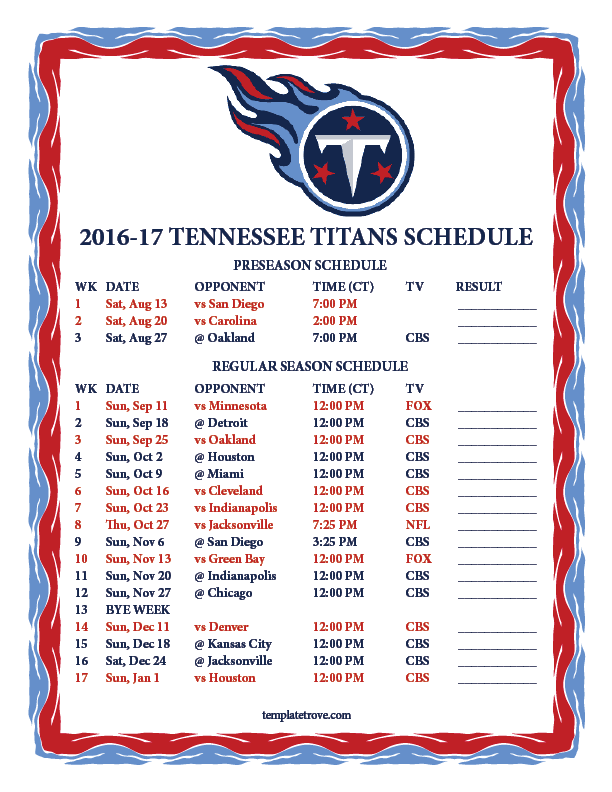 The Titans ended the 2015 regular season with and AFC worst 3-13 record. 2008 was the last time the Titans made the playoffs. Tennessee competes in the AFC South with the Houston Texans, Indianapolis Colts and the Jacksonville Jaguars. The only primetime game the Titans will play in this season will be week 8, a Thursday night game at home verses the Jacksonville Jaguars.